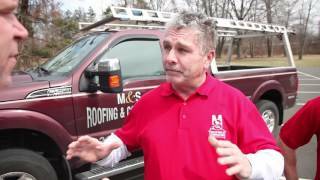 If you are looking for a roofing contractor in Hatfield, M&S Roofing is waiting to serve your needs. We have been serving you for more than 30 years with highest quality roofing, siding, gutters and much more. Call us today for a free estimate. We will be thrilled to add you to our long list of satisfied customers. M&S Roofing and Contracting takes quality to an entirely new level. We pay attention to detail on every roof to ensure that your roof lasts as long as it should, and will be protecting your home for many years to come. Our installers are highly trained, and they receive ongoing training with the latest techniques on time-proven materials. Every roof is different, so we will devise a plan and implement it without cutting any corners. Once your project is complete in Hatfield, we want to hear about your experience. 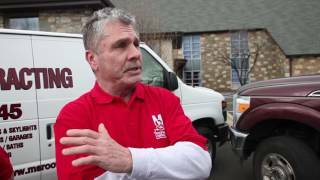 M&S Roofing is dedicated to getting better and better with every customer and project. Feel free to drop us a line and let us know how we did. Your input is very important to us and our business. 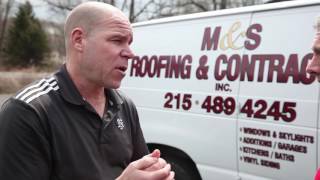 When you choose M&S Roofing and Contracting you can rest assured that your project will be completed properly the first time, and that your warranty is rock-solid well into the future. We have been serving Hatfield for more than 30 years and we look forward to continue to do so for many, many years. In the unlikely event that you have a warranty issue in the future, we will be here to help you through it.